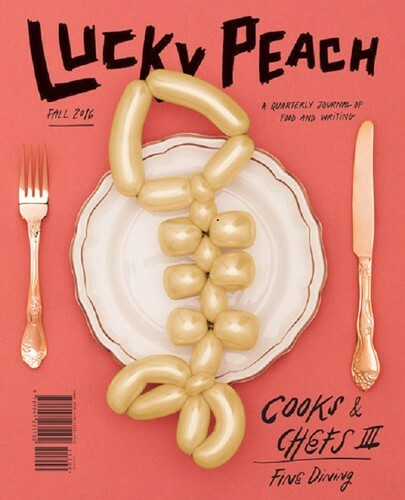 Comprei há dias um exemplar da Lucky Peach (nº 20 - Fall 2016) em que o tema principal é Fine Dining. De entre o que li, há um artigo do David Chang que me chamou a atenção. Diz ele que não há melhor analogia para o fine dining do que o boxe e justifica essa analogia, dando exemplos. "There was a time - and I know because I came up in it - when fine dining was the only game in town worth playing. To be at the helm of a three-Michelin star restaurant was to be a heavyweight champ; fine dining was the highest level of achievement in my field. I'd talk about which chefs stole which chefs' dishes with the excitement kids used to recount Ali and Frazier at the Thrilla in Manila. At the present moment, the generation that's entering kitchens and culinary school is growing up in a world where there's greater access to better food than ever before. (And of course we're talking about people in food-secure situations here; fine dining is the purview of the rich and pretend rich.) There are a dozen different ways to gain notoriety and put dinner on the table. You can study Muay Thai, Brazilian jiujitsu, judo, Greco-Roman wrestling, karate. Even within boxing, the welterweight and middleweight divisions have become more profitable and interesting than the heavyweights. For long time, if you were a fighter and you wanted to make it on the world stage, you had to be a heavyweight boxer. That was where the talent went. For a long time in the Western world, you had a consolidation of talent in fine dining. The concentration of talent made it so that fine dining restaurants served the food you had to want. Sure, there were other styles of food. But if you were really good, you weren´t going to open up a barbecue place or do take-out, you were going to work for the best. All of this is not to say that people in fine dining aren´t doing good work. They are! And they're still going to do great work. I just believe the great work being done in fine dining today is an anomaly. It is the work of people who have chosen the punishing path of the sweet science and the limited rewards it offers them. Fine dining was once the only place to go, the only way to do things, and today it is just another mode of cooking. Things have changed. There are options. Wait a second, I don't want to serve fine dining, this is stupid, I just want to make food, why do I have to do it in a fine dining environment, why do I have to cater to these people? People should embrace that. People should embrace the pluralism and the diversity. It's exciting that there are many avenues to eat well. But there will not be another Bocuse, another Muhammad Ali, not in the way that those giants once strode across society. That time has passed." Dá que pensar... Tudo mudou muito nos últimos anos. Tudo continua a mudar de forma muito rápida. Fica difícil encontrar o equilíbrio e interiorizar a mudança. Por vezes dá a sensação de que tudo se passa mais no media do que nas cozinhas. Mas é, indiscutivelmente, muito bom haver esta diversidade de opções para produzir um trabalho de qualidade.